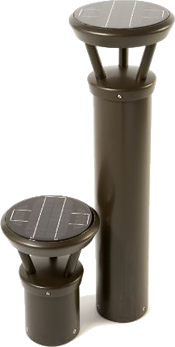 First Light Technologies' Solar LED pathway lights, bollards and custom designs combine robust construction, aesthetic design and intelligent functionality for a lighting solution that offers reliable, stand alone, solar lighting to virtually any environment. A new age of solar LED pathway lighting has arrived. The IPL series shatters the solar stigma combining aesthetic design with high-quality light output for your pathway lighting needs. The IPL series builds on our previous successes with our fully integrated aesthetic design, self-learning energy management system, and architectural grade construction. 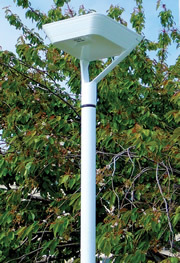 The new unit is a pole mounted luminaire with a suggested pole height of 10 – 15 feet with typical spacing of 30 – 65 feet. The performance of the IPL Series Solar LED Light is maximized through the use of proprietary Energy Management System (EMS) technology that allows the luminaire to function in harmony with its environment. 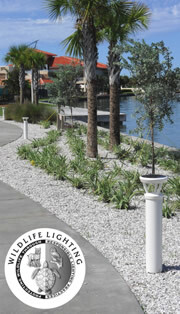 The PLB series is the staple in the First Light bollard line up. You have two different light options to choose from both offering purposeful light output directly on the ground. When you would like path illumination with a concentrated light output, select the asymmetrical light distribution. If you prefer pools of light surrounding the fixture, great for identifying public spaces or monuments, then go with the symmetrical distribution. With clean contemporary aesthetics and high quality light output the PLB series fits well into any project. 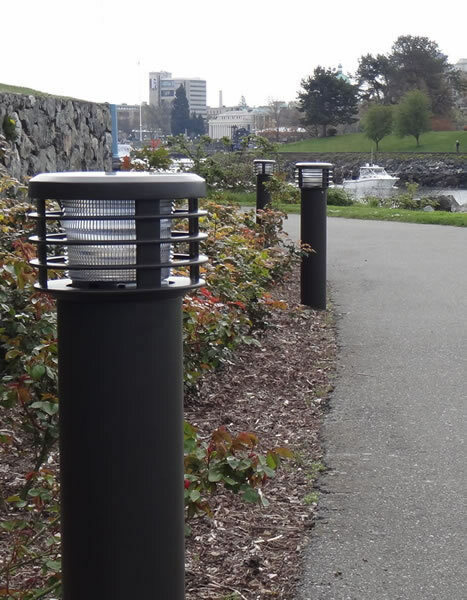 The performance of the PLB Series Solar LED Bollard is maximized through the use of proprietary Energy Management System (EMS) technology that allows the luminaire to function in harmony with its environment. The patent pending, adaptive lighting capabilities of the EMS ensures that regardless of low-solar weather patterns or unusual charging conditions such as shading, the PLB bollard continues to provide useable light that enhances the appeal and safety of the night time environment. When you need way finding, marking, or space delineating lighting, the WLB series is the ideal choice. With over 1200 foot visibility the WLB provides a light source that puts light outwards as opposed to directly on the ground. The daytime appearance is consistent with all First Light products with a fully self-contained unit. The WLB offers a more traditional caged design typically seen in marine applications. 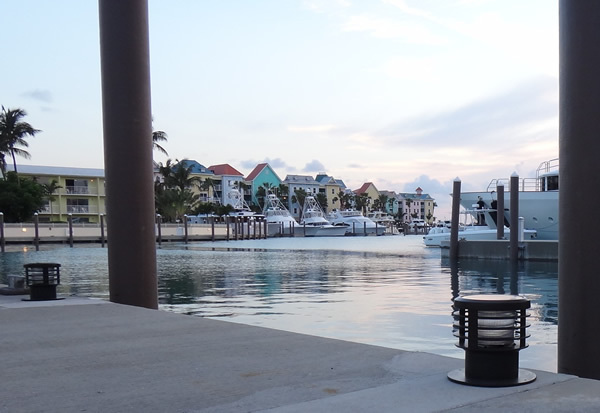 The performance of the WLB Series Solar LED Bollard is maximized through the use of proprietary Energy Management System (EMS) technology that allows the luminaire to function in harmony with its environment. The EMS ensures that regardless of low-solar weather patterns or unusual charging conditions such as shading, the bollard continues to provide useable light that enhances the appeal and safety of the night time environment. First Light’s New PLB Series amber LED Option is approved by the Florida Fish and Wildlife Conservation Commission for use in Sea Turtle Nesting Habitats. Baby turtles are safer thanks to the First Light PLB amber LED and the 180 degree back light shield that provides necessary lighting for visual landscape of beachfront properties near marine turtle habitats.After passing the testing requirements set forth by the Florida Fish and Wildlife Conservation Committee, First Lights' new option for the PLB was tested and approved as safe for installation near turtle nesting beaches due to low wavelengths and low mounting height options of both 14" and 36" ensures minimal affect on sea turtles making the PLB an ideal choice where responsible turtle friendly lighting practices are required. 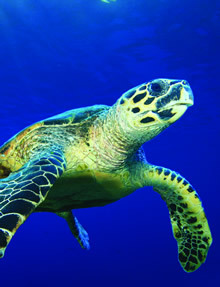 Highly efficient low wattage amber LEDs are invisible to turtles.